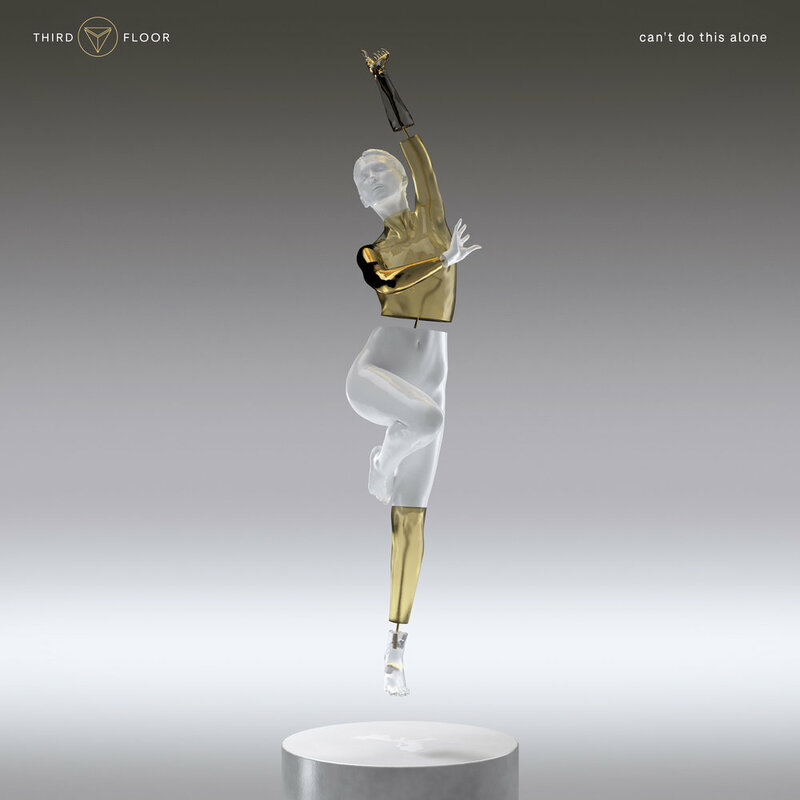 The Third Floor's “Can't Do This Alone” and “Oceans” singles project, explores the emotional states of the breakup experience from both male and female perspectives. Portrayed by the multidisciplinary visual artist, Artur Weber, the project dives deep into the differences of how both genders react to similar feelings through two digital statues of 3D-scanned human bodies. MESSED-UP FEELINGS: The female perspective. Using deconstructed body parts made from distinctive quality materials such as glass, plastic, porcelain and precious metals, the female statue is a visual metaphor for mixed feelings, concentrating on the unexplained fight-or-flight sensation experienced upon the ending of a relationship. Strong is the image of a man made of stone. But, when a man's heart breaks and his chest cracks open, an emotional earthquake shivers through the body revealing the shiftiness and fragility of men who are left blue on the inside.